8¢ Sale At Crazy 8 - Buy 1 Get 1 For 8¢! You are here: Home / Great Deals / 8¢ Sale At Crazy 8 – Buy 1 Get 1 For 8¢! 8¢ Sale At Crazy 8 – Buy 1 Get 1 For 8¢! Buy any tees, polos, or jeans at Crazy 8, you’ll get another one for just 8 cents! 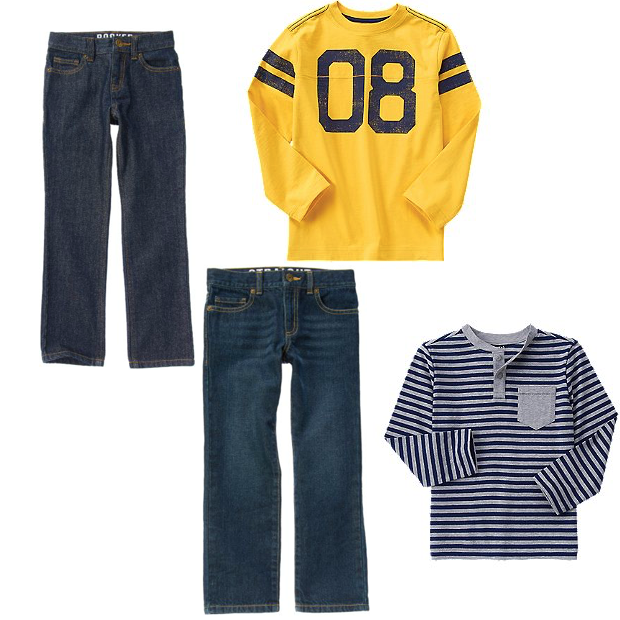 Buy the Straight Jean for $19.88 get the Rocker Jeans for $0.08! Buy the Rugby Stripe Varsity Tee for $14.88 get the Long Sleeve Stripe Henley for $0.08! Lots of deals to be had starting today at the 8¢ Sale At Crazy 8 – Buy 1 Get 1 For 8¢!